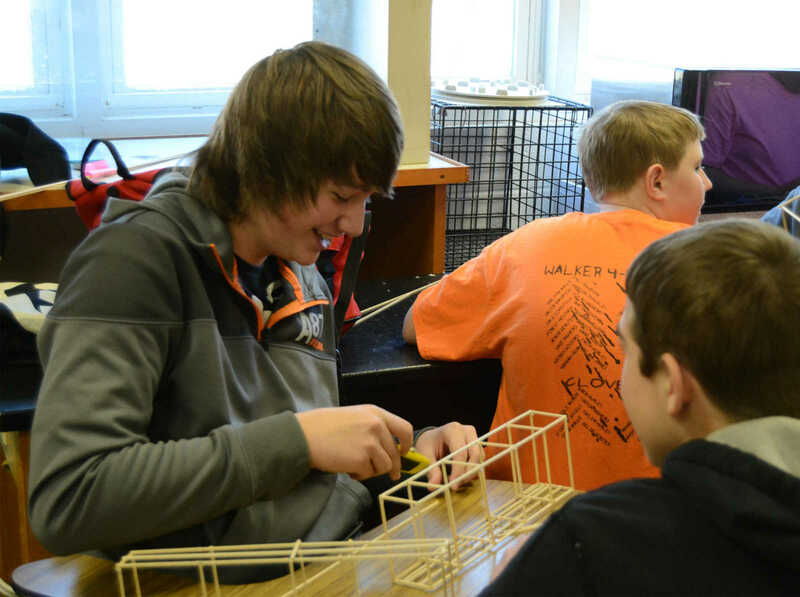 Trey Ast works on a bridge in his NEVC science class on Monday. 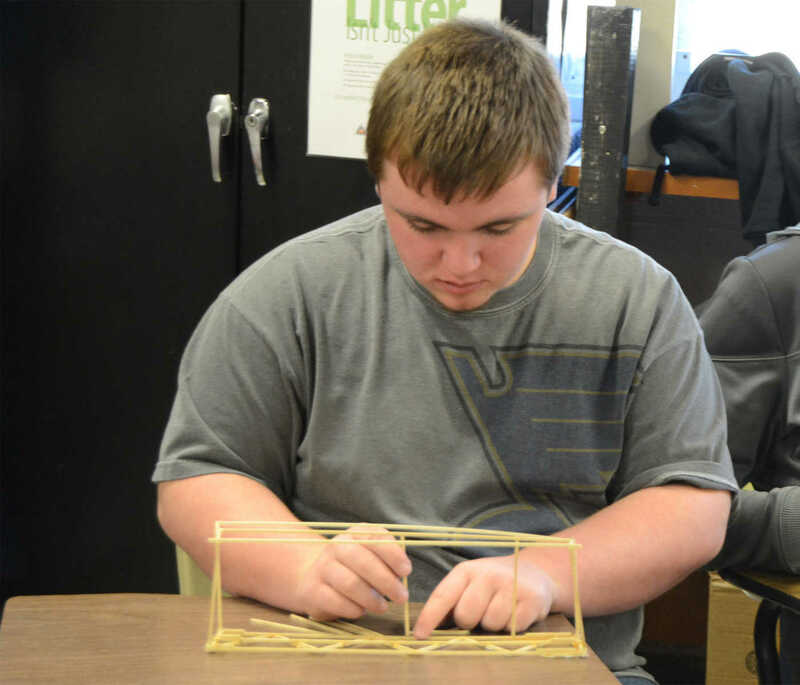 Austin Singleton works on a bridge in his NEVC science class on Monday. 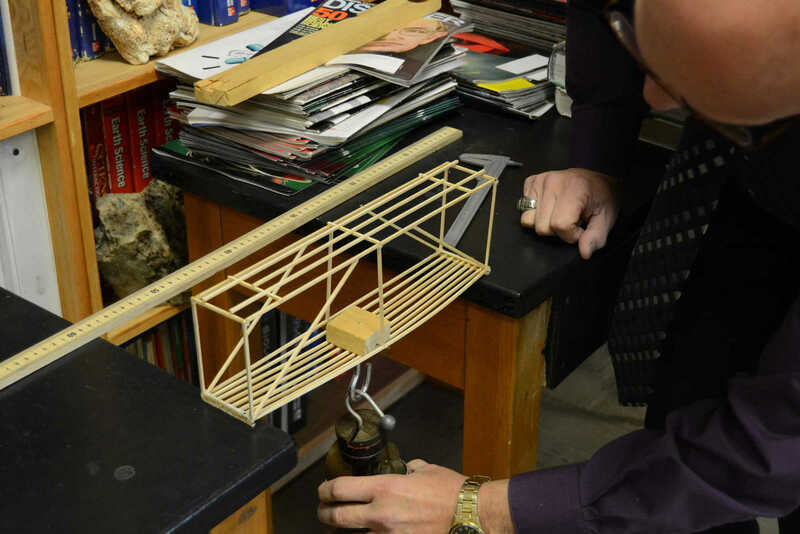 Science teacher Rick Wagner tests a bridge in his NEVC science class on Monday.